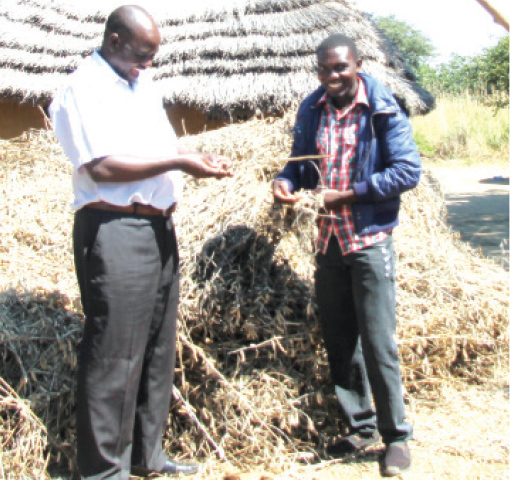 MASAITI district commissioner Nebat Matatiyo has urged commercial farmers to engage small-scale farmers in out-grower schemes to grow high value cash crops such as soya beans to increase diversification. Mr Matatiyo said diversifying into other crops other than maize will enhance farmersâ€™ revenue generation. â€œDiversification in agriculture should also be centred on other high value crops as opposed to growing maize alone,â€ he said. Mr Matatiyo said commercial farmers should play a role in engaging farmers into out-grower schemes such as in soya beans and sunflower cultivation. He also appealed to companies to consider investing in Masaiti. â€œLand is available for would-be investors. We need to enhance farming in the district and the country as a whole,â€ he said. Mr Matatiyo said Government is promoting agriculture as it is one of the sectors that has created and sustained jobs and national food security. He also said increased infrastructure development, like roads, in Masaiti has improved the living standards of the people. He said good roads will enhance investment that will result into creation of jobs for the local people. â€œDevelopment comes about as a result of good road network as well as the availability of electricity as the case is with Masaiti,â€ he said.